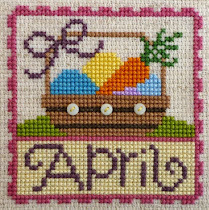 It's the 10th of April so it must be time for the Fully Finished Gallery SAL. Have you all been working hard and are now ready to show off the projects you've fully-finished this month? 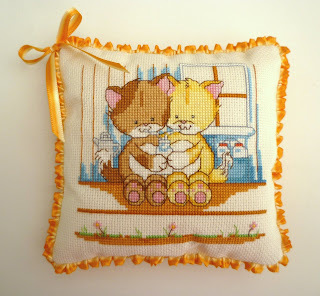 The aim of this SAL is to encourage all cross stitchers to fully-finish at least some of their completed cross stitch projects and proudly show them off via this gallery. These might be projects which have been gathering dust for weeks/months/years and/or projects which have recently been completed; it doesn't matter. Whether you are a regular fully-finisher, an ad-hoc fully-finisher or a reluctant fully-finisher, you are all welcome. 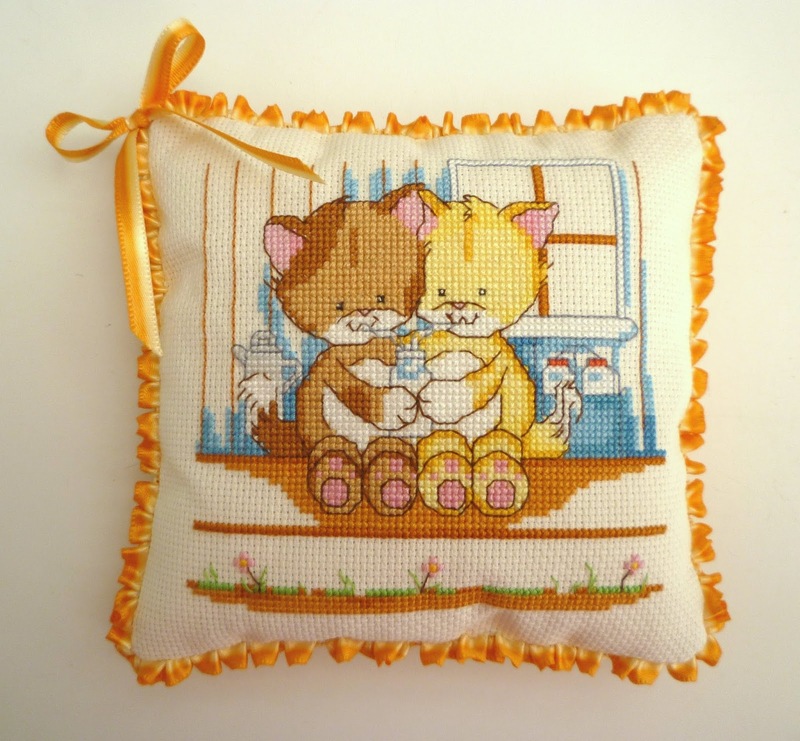 There is no need to sign up and no commitment required, just pop in when you have one or more fully-finished cross stitch projects to show. If you are unsure of anything, the FFG SAL 2019 page at the top of my blog may help, or just ask. As statistics stand, in the first two months alone there have been 118 FFOs from 23 different participants. 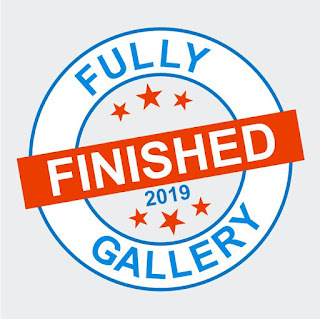 Considering I set out with the hope of there being 100 finishes in total during 2019 I think we can all agree this has been more successful than I imagined. Thank you so much! 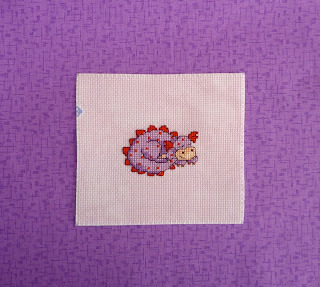 1) Purple Sleeping Dragon was stitched for the March Smalls SAL and has been fully-finished as a little ornie using my preferred technique of coordinating fabric and barley twist cord. The combination of purple and red seemed strange at first but I have had really positive comments about it. 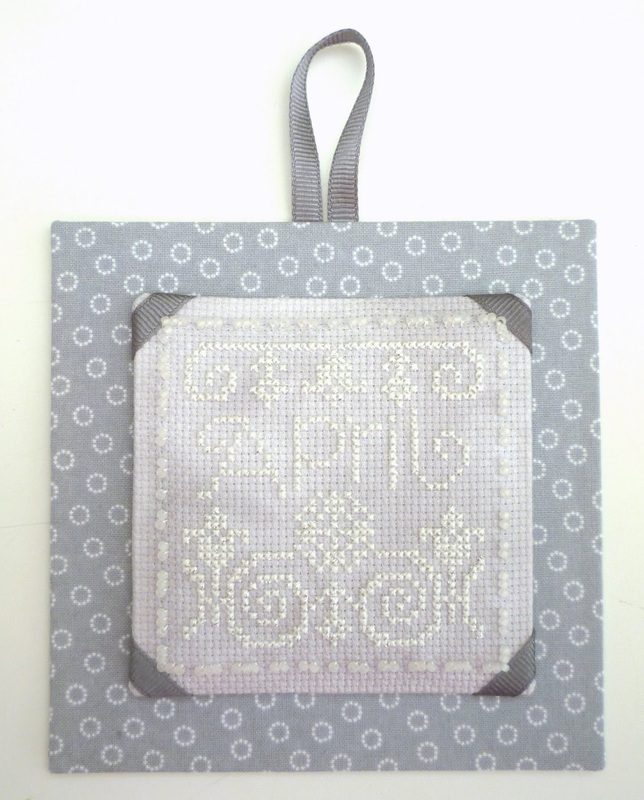 2) April in Diamond is for my Year of Birthstones and has been fully-finished as a hanging ornie using card and coordinating fabric and ribbon. 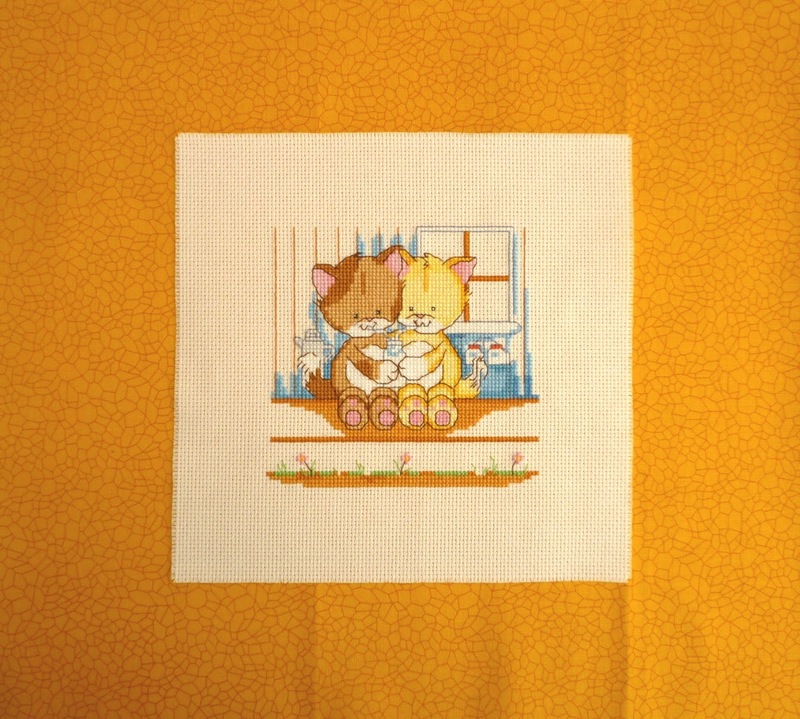 3) Cookie And Cream was stitched for DSDUCJFC 2015 (see page at top if you don't know what this is). It was the oldest UFO in my Box Of Shame (July 2015) so I thought it was about time to fully-finish it. 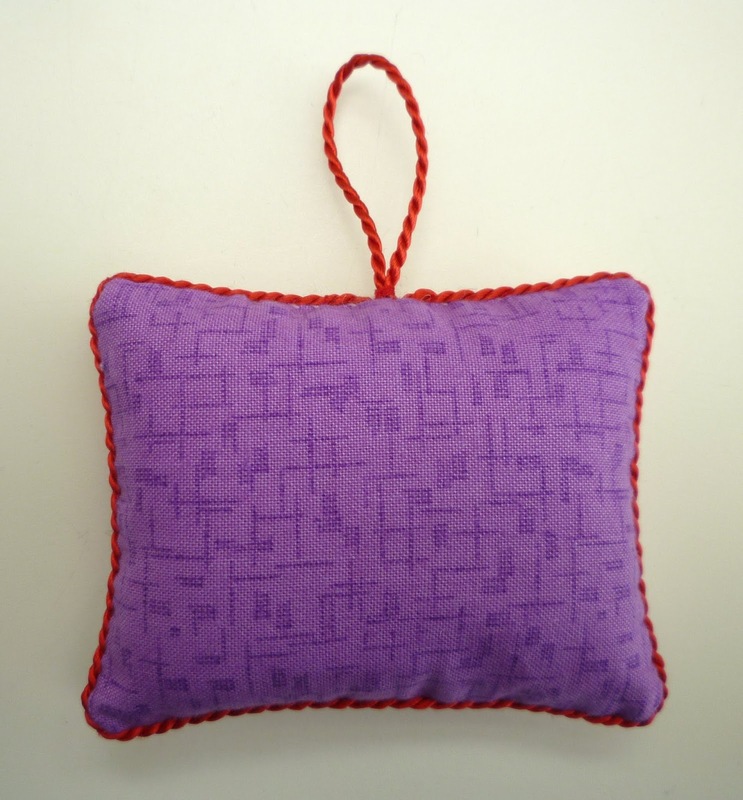 I didn't consider it an important enough piece to be framed so just opted for a simple mini-pillow with coordinating fabric and ruched two-tone ombre ribbon. The pillow could have done with a little more stuffing but, that aside, I love the crackled backing fabric and am really happy with the result. Now it's over to you. 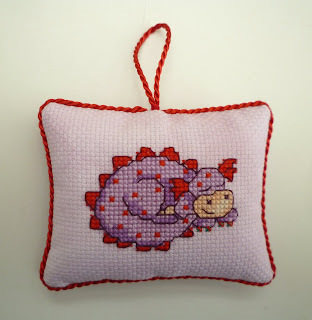 Let's see what your fingers, sewing machines and imaginations have been producing this month! 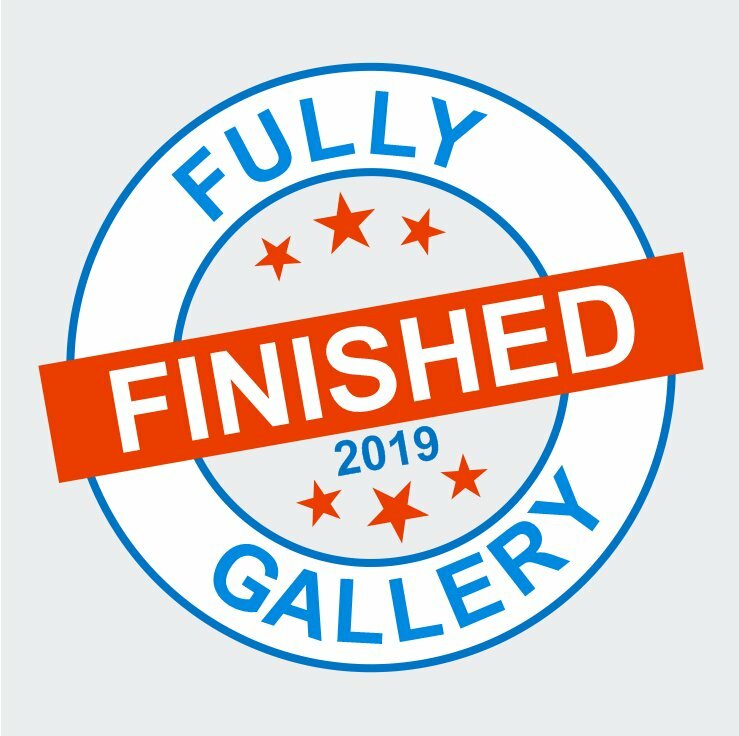 Please link-up using the URL of your FFG SAL post and not the home page of your blog, adding a thumbnail of a finish and either your name or your blog name as the caption. 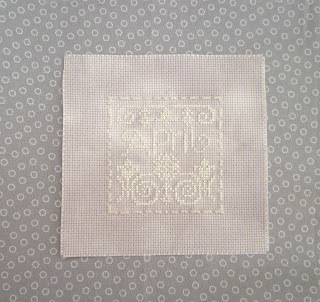 The link-up will remain open for 10 days, closing at 6am UK time on 20th April. 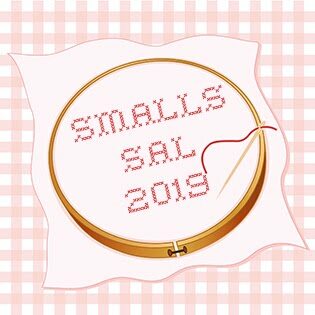 Once the link-up has closed I shall update the FFG SAL 2019 page with the number of entrants and entries. 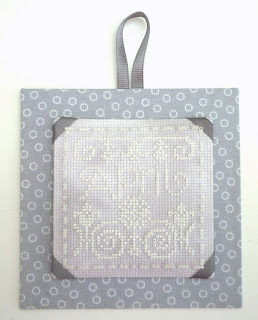 For this month's Featured Finishing Idea I'm thinking Christmas. These are a set of advent calendar buttons by craftwoodcreations.co.uk - if anyone is stitching an advent countdown these (or something similar) could be useful and, at £3.75 for all 25, are not expensive. They measure 20mm by 16mm so could easily be incorporated into all but the smallest designs. 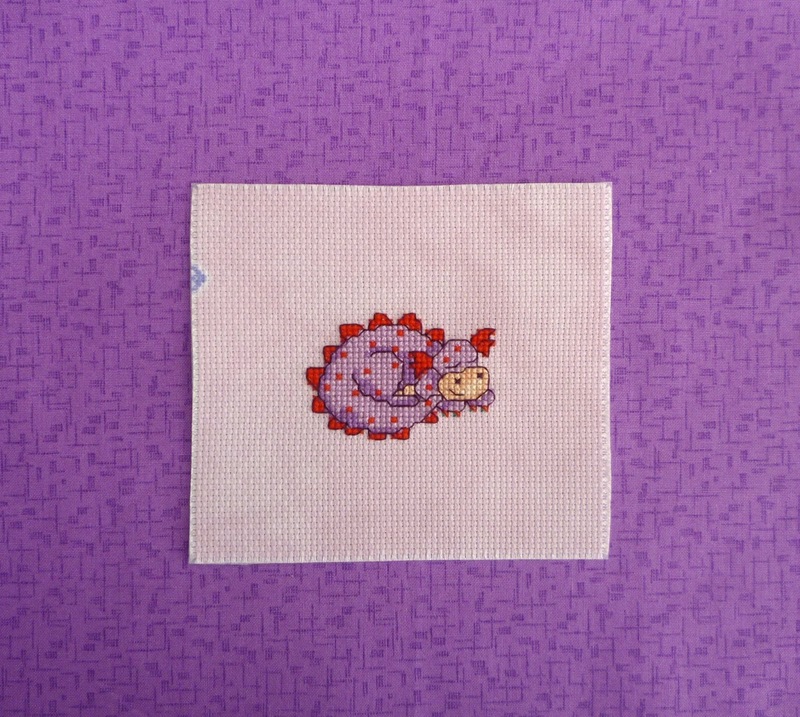 I will be using mine next year when I stitch 25 mini advent ornie projects. At the moment my plan is to have the stitching on the front and the buttons on the back, but that may well change! That's it for this month. Next month's link-up will go live at 6am UK time on 10th May. Hope to see you there! Lovely finishes Rachel. 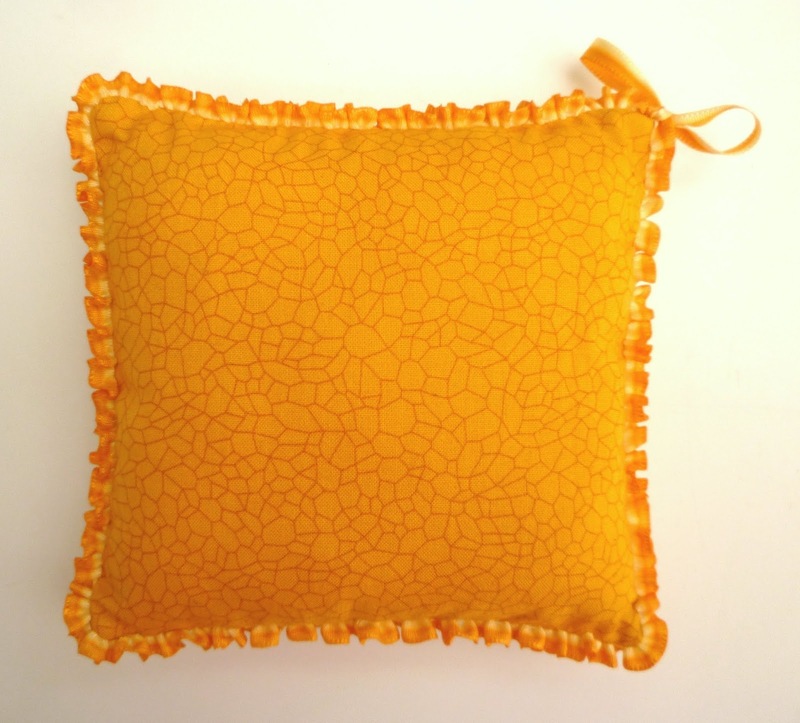 I really like the pretty two tone ribbon and yellow fabric which you have used on the cute mini pillow design. 5 more finishes to report this month. Thank you so much for this push to finish things instead of just letting them hide away!! Love your finishes. That ruched ribbon is something I really want to try! Love how it looks!! Perfect touch. So happy the turn out has been even better than you expected for this SAL. Proof we all needed it. Congrats on all of the cute finishes Rachel. I am loving your finishes. Again I love doing these post so thank you for hosting. I only have 1 fully finish this month. 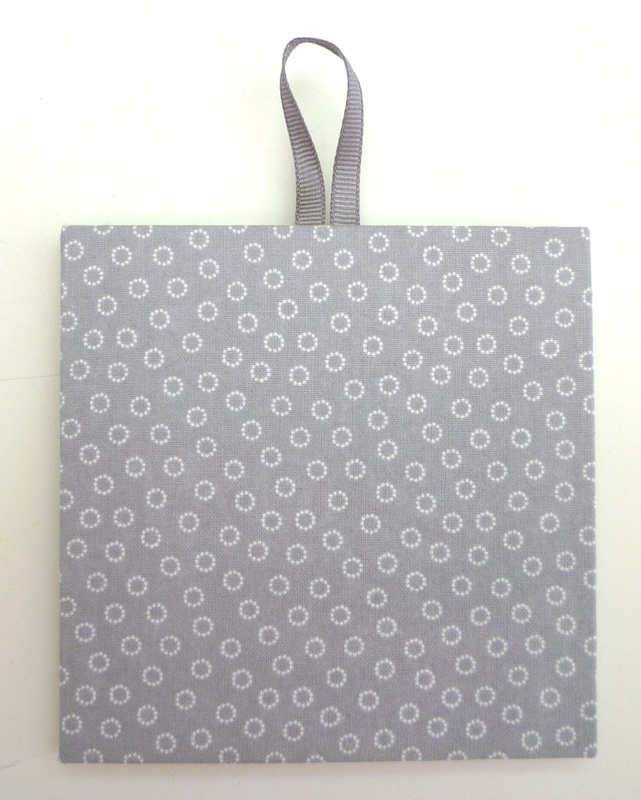 I also will be checking out the info you gave on the advent calendar I am in love with those buttons. Thanks again. WHat pretty kitties! That ribbon is perfect for them. All your pieces look great Rachel! Congrats on another month of FFOs well done! All three of your finishes are terrific. I'm a kitty lover, so that's my favorite this month! Thanks again for the push to get some things finished. Well, I missed this month, but that's alright, I was on vacation and didn't really have time to finish anything. Hopefully I'll get to make up for it next month! 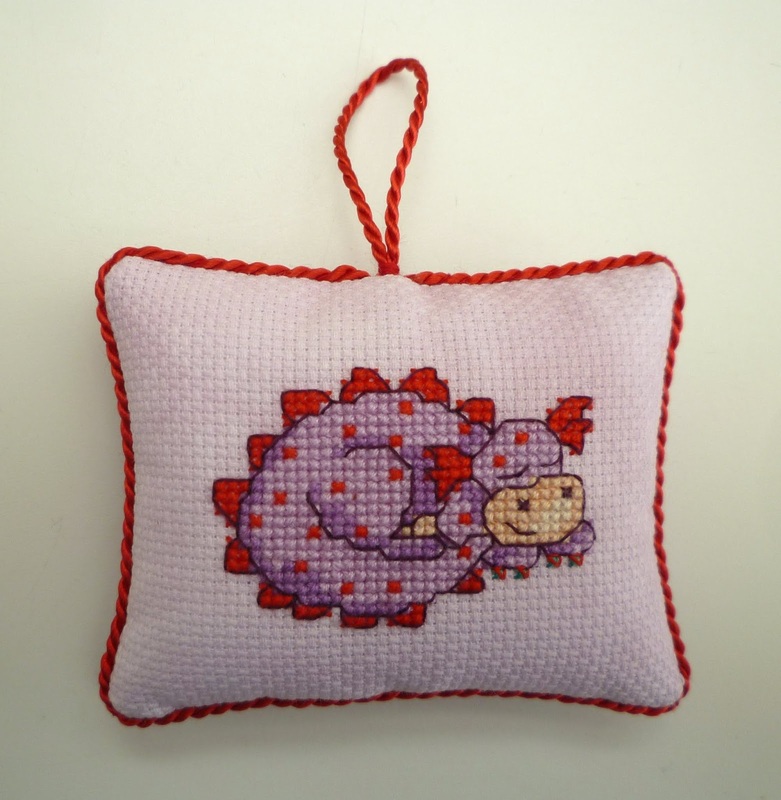 Your little pillow is very cute, good for you to rescue it from your pile of shame! 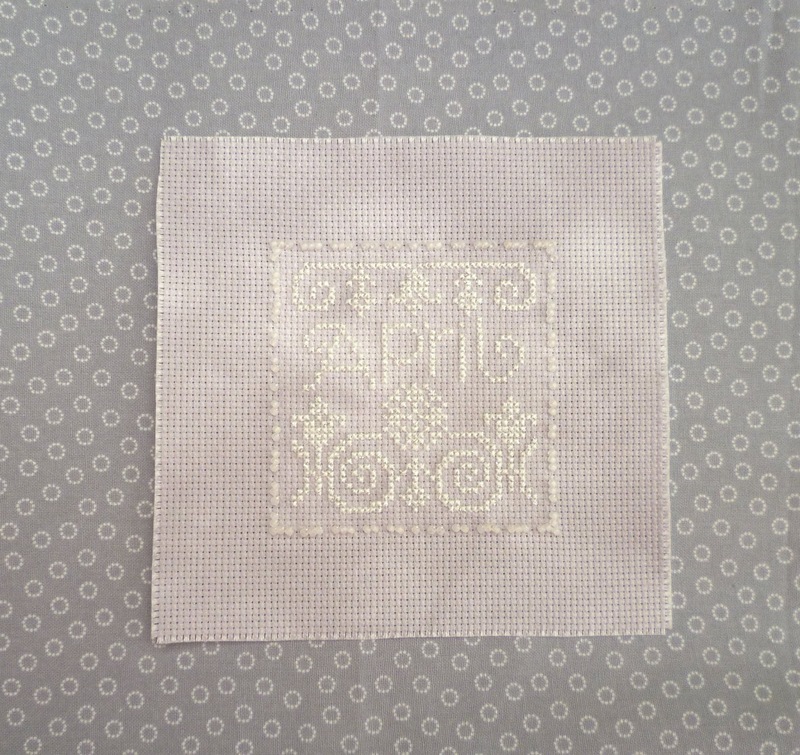 April In Diamond - started and finished!